With Mother’s Day just around the corner, thought it would be nice to highlight a few working moms in our area. 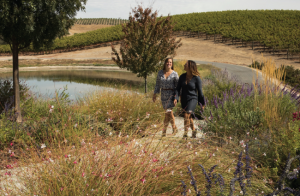 And since Paso Robles is known for its wine, or as I fondly like to refer to it when I travel, the other wine region in California, these moms have deep roots in the industry. Now moms are typically use to juggling jobs and kids, family responsibilities with work so here are how a few moms are doing it locally.. I hope you celebrate your Mom, or Mother, this Sunday and tell her thanks!